This is .38 Special Hornady 158gr. 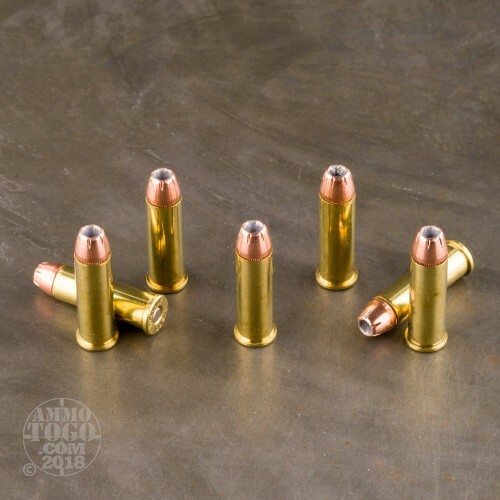 Jacketed Hollow Point XTP Ammo. 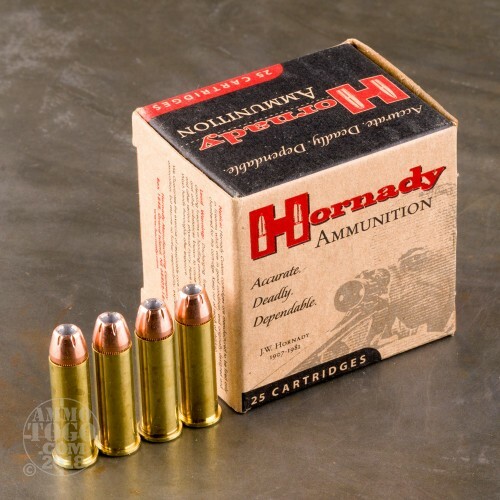 Hornady offers high quality factory loads at a great price. 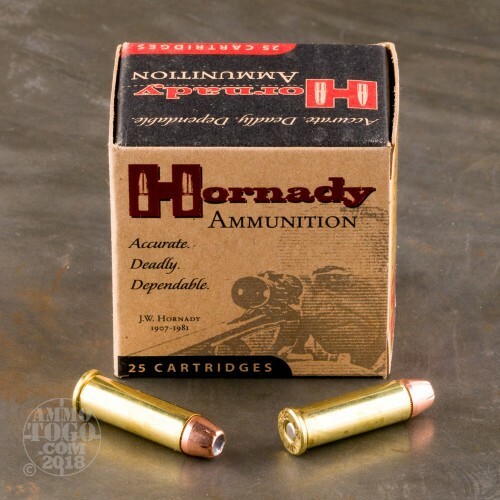 Hornady loads are built to the tightest tolerances for peak performance that rival and at times surpass hand loads in many guns. This ammo is new production, non-corrosive, in boxer primed, reloadable brass cases. This ammo comes packed in 25rd. boxes. We fired five rounds of this Hornady Ammunition 38 Special ammo through a cloth barrier into Clear Ballistics calibrated synthetic gelatin and recorded the results. For these tests, we used a S&W 640 with a 2.125-inch barrel. In the photos, graphics and video on this page, you can see specifically how the Hornady Ammunition ammo performed and how it sticks up with the rest of the 38 Special ammo we have tested so far. 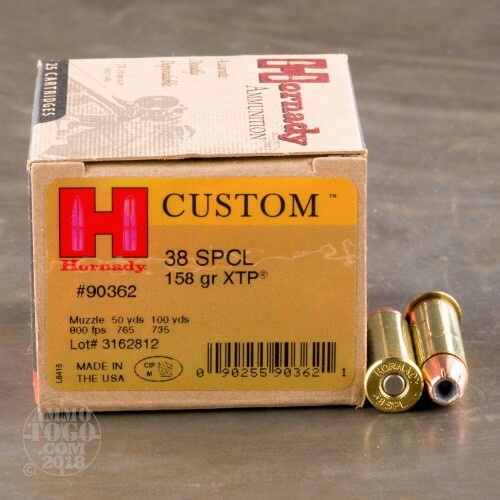 How do the results for this Hornady Ammunition 38 Special compare to other 38 SPECIAL? Penetration Depth Compared to 38 Special Tested 0" 10" 20" 30" MIN 9.5" MEDIAN 14.7" THIS AMMO 18.4" MAX 30.3"
Ran these through my snubby and model 10 with a 6 in barrel. Solid round with easy recoil on both weapons. Wish Hornady had a +p of this round but these will do the job for sure. With my model 10 i can keep a 2-3 inch spread with the fixed sights at 20 yards. Awesome round! Ran all them through my colt cobra and lets just say i wouldn't want to be the one breaking into my house..i sleep better knowing there are six of these little devils ready to go..will be buying more. I love heavy bullets! Deadly accurate, clean, sweet recoil, holy mackerel son, I wouldn't want to get hit by this bad boy!!! Love it! Love it!